… The big risk, which Eilat Mazar seems to be overlooking, is that she might get dirt on her Bible. In the Boston Globe, September 28, 2008, Jonathan Gottschall writes an interesting article about history and fiction in The Iliad, a work that purports to refer to events at the time of the Bronze Age – Iron Age transition, but which was in fact written down many centuries later. 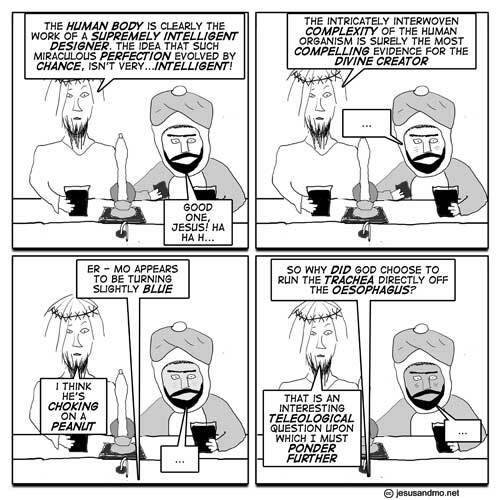 That scenario might sound familiar to readers of the Hebrew Bible. Scholars have allowed that a kernel of historical truth might be tucked beneath the layers of heroic hyperbole and poetic embroidery, but only a small kernel. In the last 50 years, most scholars have sided with the great classicist Moses Finley, who argued that the epics were “a collection of fictions from beginning to end” and that – for all their majesty and drama – they were “no guide at all” to the civilization that may have fought the Trojan War. Recent advances in archeology and linguistics offer the strongest support yet that the Trojan War did take place, with evidence coming from the large excavation at the likely site of Troy, as well as new analysis of cuneiform tablets from the dominant empire of the region… Using new tools, such as computer modeling and imaging technology that allows them to “see” into the earth before digging, [Manfred] Korfmann and his colleagues determined that this city’s borders were 10 to 15 times larger than previously thought, and that it supported a population of 5,000 to 10,000 – a big city for its time and place, with impressive defenses and an underground water system for surviving sieges. And, critically, the city bore signs of being pillaged and burned around 1200 BC, precisely the time when the Trojan War would have been fought. So what does this mean? Do the new archaeological, along with the Hittite imperial records, now prove all the details contained in The Iliad? Has archaeology proved the existence of The Historical Zeus? But if the Trojan War is looking more and more like a historical reality, there is still the question of whether the poems tell us anything about the motives and thinking of the people who actually fought it. Do the epic time machines actually take us back to the Greek culture of the Late Bronze Age? It is almost certain that they do not. Homer’s epics are a culmination of a centuries-long tradition of oral storytelling, and extensive cross-cultural studies of oral literature have established that such tales are unreliable as history. Homeric scholars believe that the epics were finally written down sometime in the 8th century BC, which means that the stories of Achilles and Odysseus would have been passed by word of mouth for half a millennium before they were finally recorded in what was, by then, a vastly changed Greek culture. Facts about the war and the people who fought it would have been lost or grossly distorted, as in a centuries-long game of “telephone.” Scholars agree that the relatively simple and poor culture Homer describes in his epics is quite sharply at odds with the complex and comparatively rich Greek kingdoms of the Late Bronze Age, when the war would have taken place. So what does the Iliad teach us? It teaches us about the culture in which it was written down. But even if the epics make a bad history of Greece in 1200 BC – in the sense of transmitting names, dates, and accurate political details – scholars increasingly agree that they provide a precious window on Greek culture at about the time the poems were finally written down. Reconstructing a prehistoric world from literary sources is rife with complications. But there are aspects of life in the Homeric era upon which most scholars agree. Homer paints a coherent picture of Greek attitudes, ideology, customs, manners, and mores that is consistent with the 8th century archeological record, and holds together based on anthropological knowledge about societies at similar levels of cultural development. For instance, we can trust that the Greeks’ political organization was loose but not chaotic – probably organized at the level of chiefdoms, not kingdoms or city-states. In the epics we can see the workings of an agrarian economy; we can see what animals they raised and what crops, how they mixed their wine, worshipped their gods, and treated their slaves and women. We can tell that theirs was a warlike world, with high rates of conflict within and between communities. – Baruch Levine, Numbers 21-36: A New Translation with Introduction and Commentary. Anchor Bible. New York: Doubleday, 2000: 59. Tanach.us hosts an electronic version of the Leningrad Codex, the manuscript followed by the BHS edition of the Hebrew Bible. The site is maintained by the J. Alan Groves Center for Advanced Biblical Research. A handy feature of this site is that you can view the Leningrad Codex colour-coded for each of the Documentary Hypothesis (DH) sources: J (Yahwist), E (Elohist), D (Deuteronomist), and P (Priestly). The particular range of the sources follows Richard E. Friedman’s Who Wrote the Bible. Just select “All” in the “DH” box in the top-right corner. 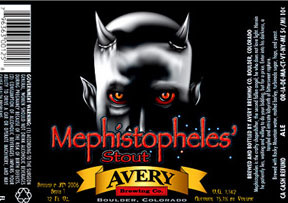 From June 2008, Avery Brewing, of Boulder Colorado, have offered a strong ale by the name of “Samael’s Ale”. Samael is the angel of death in early Judaism, the Demiurge according to the Gnostic Apocryphon of John, and one of the seven archangels according to Pope Gregory the Great (ca. AD 540 – 604). At 14.5% alcohol, Samael’s Ale may well live up to its name. Samael’s Ale is one of the ales in Avery Brewing’s ‘Demons of Ale’ series, which also includes ‘The Beast’ and ‘Mephistopheles’ Stout’. Here’s Sixteen Horsepower’s David Eugene Edwards with an evil-looking rendition of ‘American Wheeze’. In The Ascension of Isaiah 6, Isaiah induces a trance that results in the separation of his visionary soul from his stationary body. David Halperin describes the scene as a “vivid and realistic-sounding account of a shamanistic trance”, which most probably reflects the author’s actual visionary experience(s) (Faces of the Chariot, 1988:66). The requirement for passwords during descent, physical transformation of the visionary into angelic form, and angelic opposition to human ascent all suggest a visionary experience. The Ascension of Isaiah alternates between the ascensions and transformations of the visionary ‘Isaiah’, and the ascension of Christ – a strong indication of the influence of the author’s visionary experiences on his depiction of the ascension of Christ. A wide range of visionary ascent motifs is again present in the Odes of Solomon, where Christ’s descent to Hades and ascent to heaven is celebrated in hymns or odes. Likewise, the visionary or odist experiences transformation into a heavenly figure, mystical union, ascension in a merkavah, avoidance of evils and dangers in ascent, and engages with an angelus interpres figure. All of this strongly suggests that the description of Christ’s victory of evil and ascent to heaven were created from visionary experiences which themselves involved overcoming evil in an ascent to heaven. The Revelation of John provides yet another mixture of visionary heavenly ascent with an account of Christ’s own ascent. In Revelation 4.1, John sees a “door opened in heaven”, and for the remainder of the book is “in the spirit”, experiencing a series of visions. 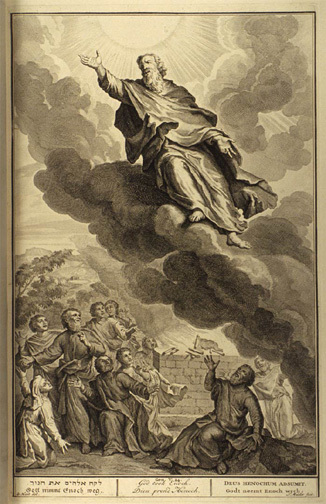 John’s vision of his ascent to heaven involves a vision of Christ’s descent, defeat of Satan and ascent into heaven and exaltation (Revelation 12.1-9). In Revelation 1.13-18, John’s initial vision of the One like the Son of Man makes reference to his death providing freedom from Death and Hades. 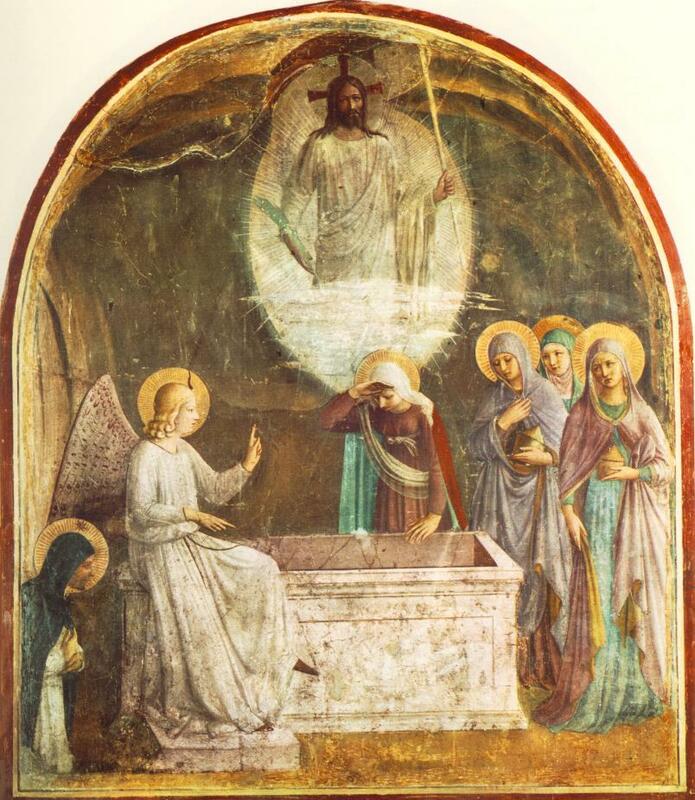 David Catchpole contends that the first Synoptic account of Christ’s ascension, in Mark 16.1-8, is itself in the genre of a vision or epiphany, suggesting its original source in a visionary experience (“The Fearful Silence of the Women at the Tomb”, 1977). I argued that this provides a sound historical-critical understanding of how Mark 16.1-8 came to be written. As Jane Schaberg points out, many of the elements of an apocalyptic vision are present: an early morning time conducive to induction of visions, report of amazement, angelic calming, angelic message, commission to tell others, and resulting terror and silence (Resurrection of Mary Magdalene, 2003: 359). In addition, Christopher Rowland argues that the baptism, temptation and transfiguration all bear the mark of autobiographical visionary reports – the last of which, the transfiguration, has often been read as a form of resurrection account (The Open Heaven, 1982: 359). In 2 Corinthians 12.2-4, Paul claims he could receive ecstatic visions that allowed him to travel even to the highest heaven, to uncover the secrets and mysteries that laid within that realm. The account refers to visions and revelations received from the Lord on his ascension to the third heaven or “Paradise”. In that place Paul heard heavenly secrets and mysteries, or αρρητα ρήματα (with assonance, “words that cannot be spoken”) or words ουκ εξоν ανθρώπω λαλησαι (“not permitted for a person to speak”). Paul believed that the visionary appearance of the post-resurrection Christ to him vindicated his equal status as apostle. Paul claims to “see” the resurrected Christ just as Jesus’ companions had seen him. Paul uses the same word (“see”) to describe resurrection appearances to himself that he does for the appearances to Jesus’ companions (Galatians 1.1; 1 Corinthians 9.1; 15.8-9). Given that the earliest understanding was the Jesus had appeared to apostles from heaven, the use of the same vocabulary is completely understandable. Furthermore, in 2 Corinthians 12, Paul claims that his direct acquisition of knowledge by way of his personal visionary experiences provide a defence of his apostolic status (Galatians 1.1). Just as Jesus appeared from heaven to the other disciples, calling them to apostleship, now Paul believes that Jesus has appeared to him in the same way. “Paul therefore does not distinguish between the kind of appearance made known to him and those made known to his forebears” (Alan Segal, Paul the Convert, 1990: 15). Visionary experiences of ascent and descent constantly coincidence with the narrative descriptions of the ascended, victorious and exalted Christ in earliest Christianity. It is therefore very probable that such experiences greatly influenced the earliest conceptualisations of Christ’s own ascent and victory over the powers of evil. From his examination of New Testament and other early Christian works, Timo Eskola finds that “[t]he writings of Jewish mysticism were exploited in the construction of early Christology” (Messiah and the Throne, 2001: 289). Early Jewish mysticism centred on ascension to the throne of God, that is, the merkavah. The Jewish mystical experiences can be traced back to the merkavah visions narrated in Ezekiel. For example, in the Self-Glorification Hymn from Qumran, an unidentified person relates how he ascended to heaven in order to receive instruction, boasts of his exalted position above the angels, sits down on the heavenly throne, and believes he will be vindicated against his enemies. Philip Alexander concludes that the text, which was used hymnically to induce visionary experiences, demonstrates an active and ongoing practice of ascent and heavenly transformation in Qumran (Mystical Texts, 2006: 85-90). Given the Christian theme of exaltation by heavenly enthronement at the right hand of God, which was inseparably a part of resurrection and ascension to heaven in earliest Christianity, Eskola concludes, “Merkabah speculation is a most suitable environment for the description of Christ’s heavenly enthronement”. For example, the very vision of ‘Isaiah’ in which Ascension of Isaiah 6-11 is set provides “the context to which [exaltation Christology] originally belonged” (Messiah and the Throne, 286, 288). That is, these writings about heavenly exaltation and vindication of enemies were created by visionaries who had experienced very similar mystical experiences. The first visions were of an exalted Christ who had ascended to the throne of God. It follows that there is no real ’empty tomb’ or ‘stone in front of the tomb’ at this stage. Such details were only added when the visionary story of a heavenly ascended Christ was developed into a story of an earthly resurrected Christ. So arguably, therefore, the development of Christian traditions about Christ’s resurrection and exaltation are most explicable as developing from the imaginative visionary ascent practices of Christians who wrote about Christ’s own ascent. Beginning with passages such as Daniel 12.1-2, Jewish ascent traditions made strong links between martyrdom/suffering, resurrection, ascent, and exaltation, astral and otherwise (Segal, “Heavenly Ascent in Hellenistic Judaism”, 1980: 1369). The popular Christian apologetic — that the idea of an human ascending to heaven before the end-times is a ‘new idea’ which could only be conceived through a physical post-resurrection appearance — is therefore soundly refuted. Jesus’ claim to be the Enochic Son of Man, combined with his followers’ celebration of his death as victory over evil, and their visions of his ascension into glory all combined to produce a variant of Enochic Judaism now centred on Jesus of Nazareth. The Christian use of the martyrdom-ascension-visionary tradition involved a “real interplay” between the inherited Jewish pattern and the particular Christian visions and reflections concerning Jesus’ death and the particular claim he was the exalted Son of Man. In this way, traditional Jewish visionary practices of ascent and descent produced the Christian tradition of Christ’s own incarnational descent and ascent. The canonical Gospels all include stories of women who see the resurrected Jesus. Why women? In a world in which the opinions of men were much more greatly esteemed than those of women, why all these stories about women seeing the resurrected Jesus? The simple explanation must be that it was in fact women who had the earliest visions of Jesus. Women followers of Jesus, not men, were the first to experience visions of Jesus after his death. And it is these stories which became central to the vision reports of the resurrected Jesus which were later incorporated into the gospels. In the first century AD, women had limited roles to play in preaching and public speaking. But when it came to visions, vision reports, and prophecy, women had a special position. In fact, visionary experiences are, across many cultures, one of the limited number of ways that a woman can express herself religiously with authority. In her study of medieval visionary experiences (Power, Gender and Christian Mysticism), Grace Jantzen considers this is the major explanatory factor for the high proportion of women visionaries. Any authority women claimed for themselves would require a very special validation in the face of male hegemony — and a prime validation was a vision of the glorified heavenly Jesus. A study by Jerome Kroll and Bernard Bachrach, of 134 vision reports from the 8th-12th centuries, demonstrates how visionary experiences were an opportunity for the downtrodden, oppressed, poor, and women to express themselves. Some 49% of visionaries, in their large survey, were either men without rank or women, despite the literature being read by a small elite of the population. Similarly, the majority of leaders in the Nineteenth Century Spiritualist Movement were women. Female visionaries thrived in the earliest Church. The fulfillment of Joel’s prophecy in Acts 2.17-18 stresses both men and women as recipients. Philip’s four daughters prophesy (Acts 21.9). In Luke 2.36-37, the prophet Anna lives in the Temple and is the first to preach about Jesus — to all in Jerusalem. In addition, the Corinthian women prophesied (1 Cor 11.5). Furthermore, a number of Gnostic sources testify that Mary Magdalene was a significant visionary in earliest Christianity (Epiphanius, Pan 26.8.1-3; Pistis Sophia; Gospel of Mary). Also, Juvenal attests to a ‘priestess’ in Jerusalem in the first century AD who acted as a dream interpreter (Satires 6.542). So, while it was rare for women to write religious works in the first century AD, women were well represented as visionaries. The religious pattern across many cultures, as well as the particularities of the earliest Christian Church point in the same direction: if a vision report existed, there was a fair probability that women would be behind it. What does this mean for the Gospel accounts? As the resurrection accounts are likely derived from vision reports, it was not unexpected, and in fact was quite likely that the vision reports should derive from women. – William Lane Craig, Jesus’ Resurrection, 177. The contrary conclusion should now be made. Due to the fact that visionary experiences comprised one of the few ways for women to express themselves religiously in the first century AD — they were restricted from public leadership and even giving witness in a public court — these stories probably derive from women’s visionary experiences. Paul might have been successful in removing the first, female vision accounts of the resurrection from his list of ‘post-resurrection appearances’. But the Gospel writers have preserved these accounts — even as they have attempted to make them secondary to other accounts attributed to various men in the gospels. So we see that the explanation of the gospels’ resurrection accounts in terms of vision reports has the greater historical evidence and greater explanatory power.